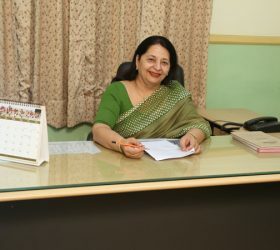 Mrs. Ashima Chandna (MA Eng, Psy. B.Ed) , a topper from Convent, has had the rare fortune to be a part of THE ARYAN fraternity- an experience enriching and satisfying in every possible sense. Being a teacher and a guide for more than forty years has given her a chance to work with young minds in close proximity in their most formative years .She has a vision to foster children in such a way that they go out in the world equipped with knowledge and conviction to accentuate their presence and stand out amongst the crowd. She is fortunate that in this quest of hers THE ARYAN SCHOOL has given her whole hearted support. 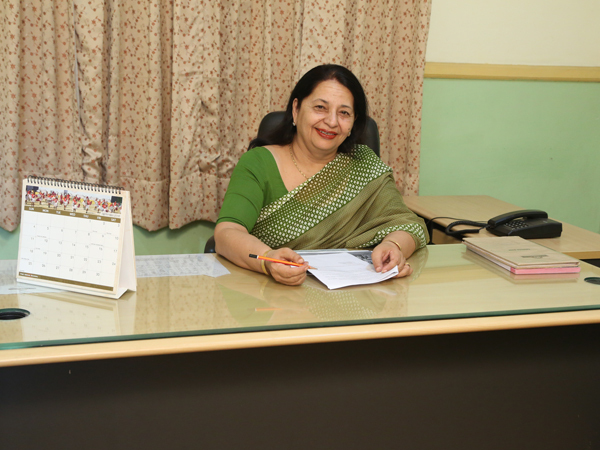 Being the Dean of Activities helps her in devising such activities that encourage mental growth and enhance confidence in students .To facilitate this, school life is punctuated by a plethora of activities. These include debating, dramatics, singing, painting, craft and many more. Each child is special and has a unique gift enclosed within his persona. In THE ARYAN SCHOOL the students are given a chance to exhibit their prowess and excel by participating in all these activities and whetting his personality to meet the challenges of the future. A teacher of English to the senior classes she wants to furbish each child so that he can read well, write well, understand what he hears and above all, leave a mark by the way he speaks. This calls for copious practice, a rich vocabulary and an ability to internalize the beauty of English Literature. All this can happen only if the students are taken beyond the realm of the syllabus and so she advocates holistic learning. She hopes to put in a lot of hard work into achieving this goal.